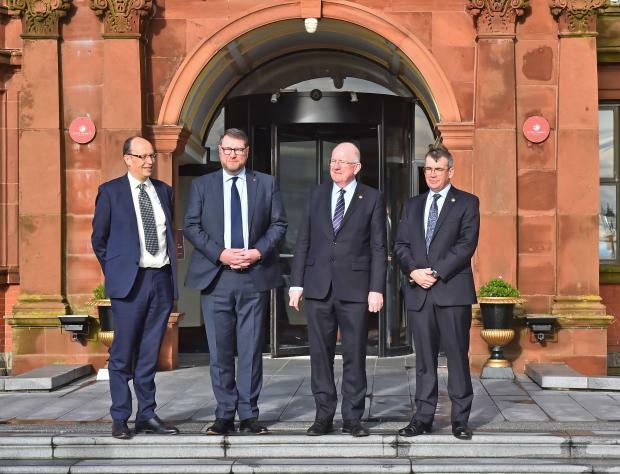 A major cross-border conference on tackling organised crime, bringing together government representatives and agencies north and south, has come to a close. The “Shared Problems, Shared Solutions” conference was the 16th conference hosted by the respective Departments of Justice north and south of the border. The conference agenda included topics such as human trafficking, modern slavery and VAT fraud. Participants included representatives from government departments, the PSNI, An Garda Siochána, the Criminal Assets Bureau, the National Crime Agency, HM Revenue and Customs and Revenue Commissioners.